An abandoned hotel built in 1918 welcomes international guests and more than a little distinguished. Ten artists from seven countries, including Brazil [Alessandra Cestac, Claudio Bueno, Regina Parra and Rodrigo Garcia Dutra], set up their studios into the building built by Ramos de Azevedo to conduct trials that contextualize the city center. 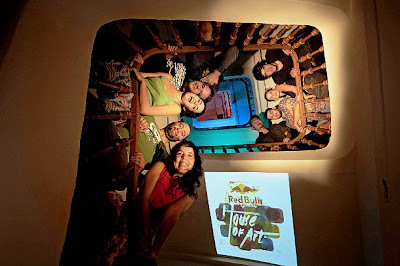 During the 30 days of The Red Bull House of Art makes its debut in Sao Paulo in the historic Central Hotel, on Avenida Sao Joao Visit each room art and then stroll through the collective spaces. When: November 11th to December 13th. Tuesday to Friday, from midday till 6pm, Saturday and Sunday, from 10am till 6pm.